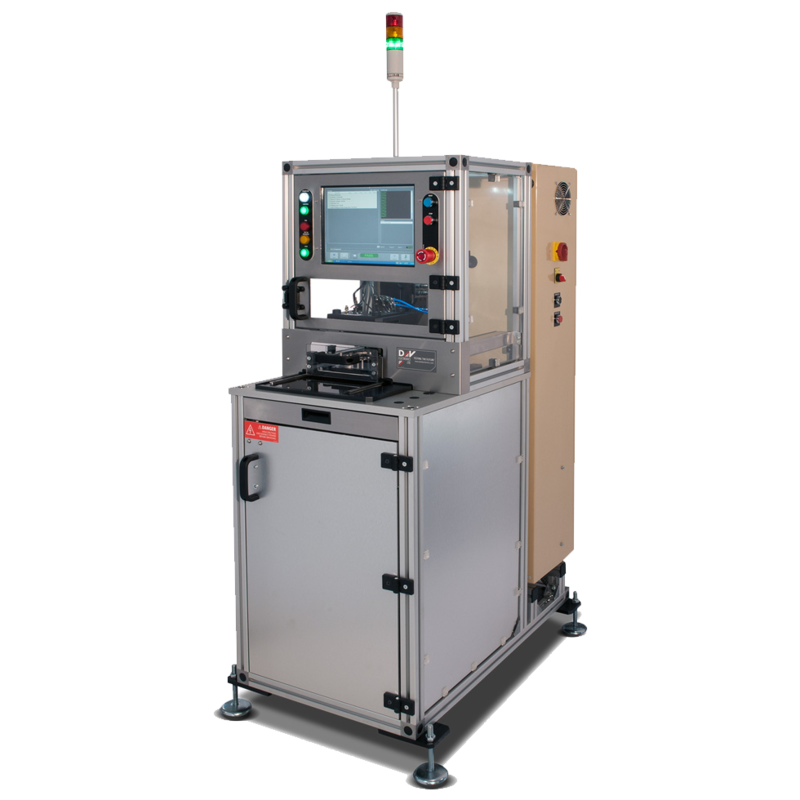 The CDT-601 is a Windows®-based, high speed, high accuracy, robust, lean cell production testing unit for diode rectifier assemblies. CDT-601 is also available in modular configurations for in-line testing applications. Thank you for your interest in the CDT-601. Please fill out the form below so we can send you the brochure. Thank you for your interest in the CDT-601. Your request has been submitted to our sales department, and we will get back to you soon. The CDT-601 is compatible with the test specifications of all major Tier 1 manufacturers, tests standard and new generation rectifiers with up to 8 phases, and tests rectifiers with diode trio assemblies. Along with all standard tests there are number of built-in advanced measurements such as dynamic resistance, dynamic voltage drop, reverse direction stress test, dynamic reverse resistance, recognition of “soft knee” characteristic, noise, etc. The CDT-601 has the ability to recognize diode quality issues, semi-conductor material imperfections (micro-fractures, cracks), diode substrate damage, and solder voids. Comprehensive software suite that includes individual test settings and part profiles, machine setup instructions (visual tutorial), labels and group names for diodes and connections, etc.